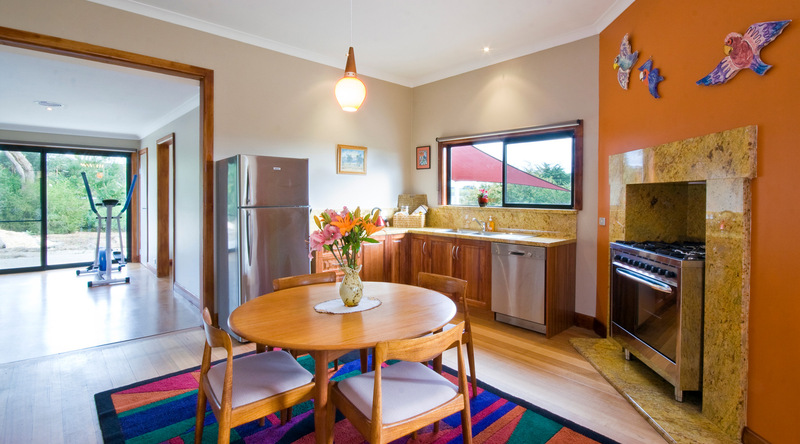 PENNYROYAL ONE BEDROOM LUXURY COUPLES FARM HOLIDAY HOUSE. 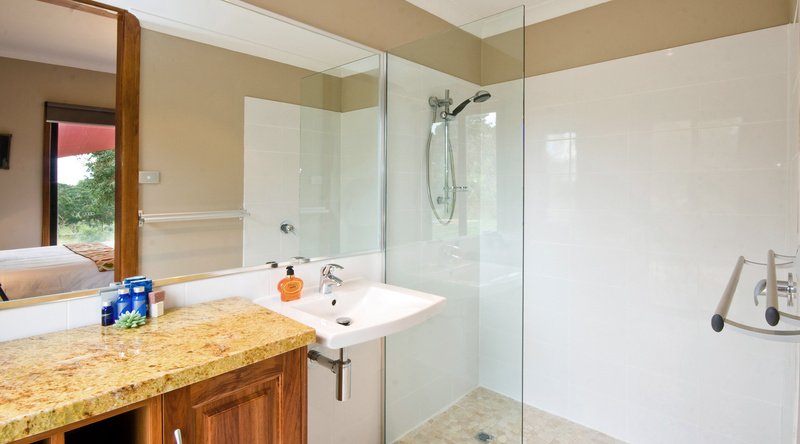 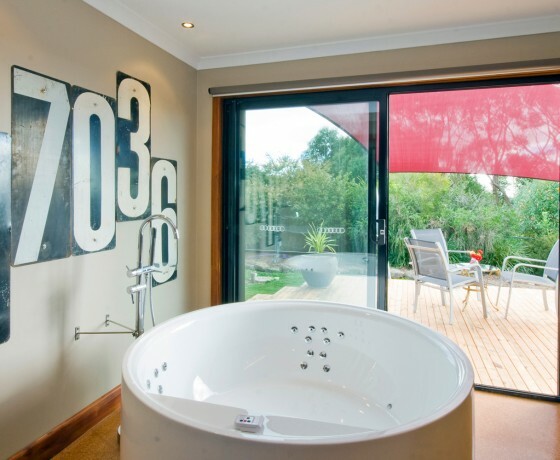 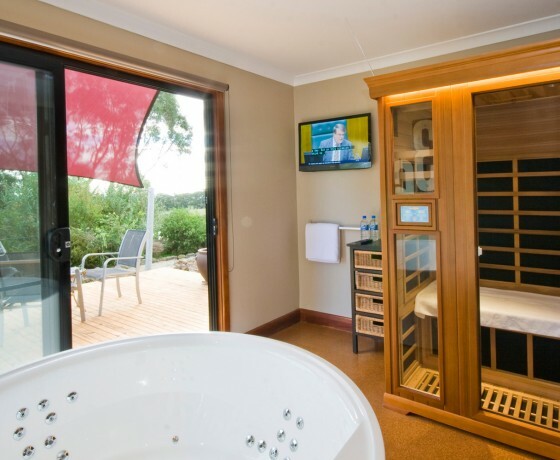 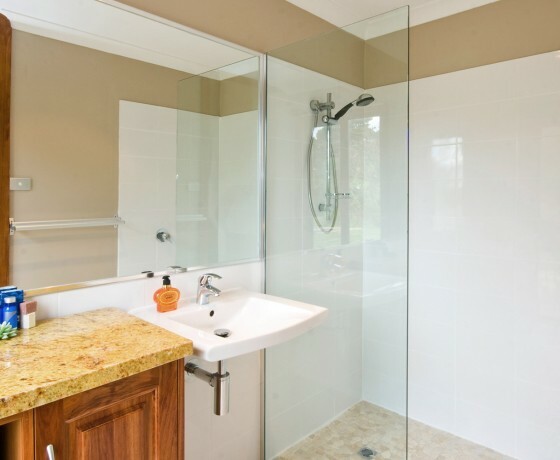 Otway Valley Views rural “Arts & Crafts” farm house property provides luxury 1 bedroom, two bathroom spa / sauna and gym accommodation with a reflection and wellbeing room. 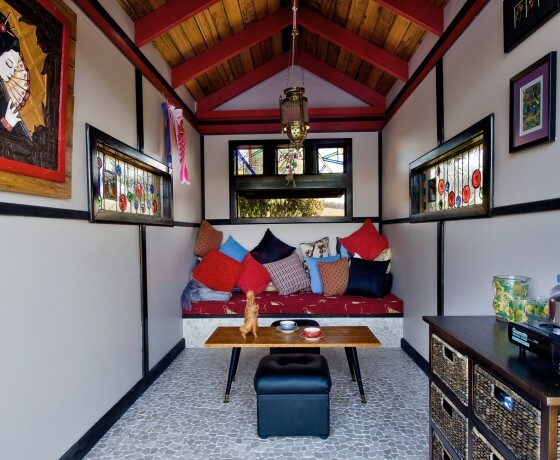 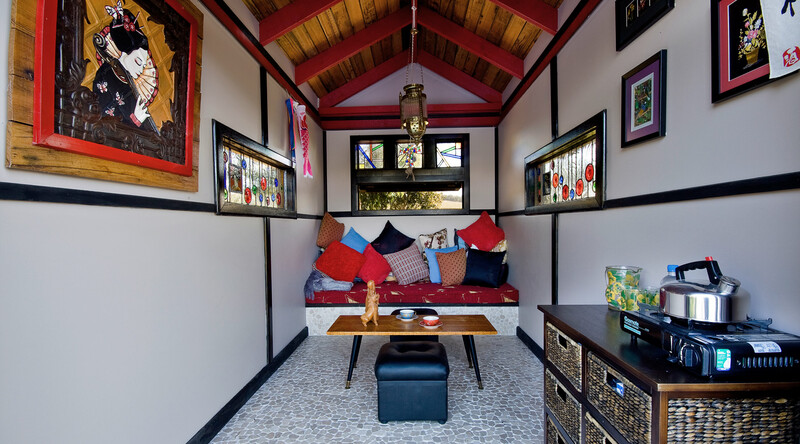 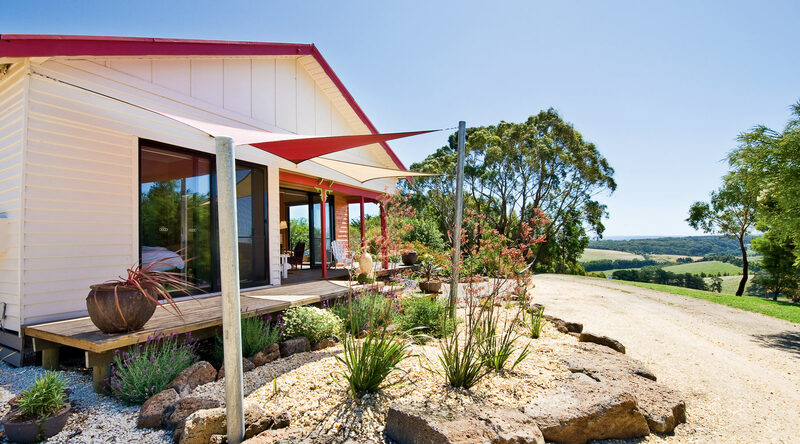 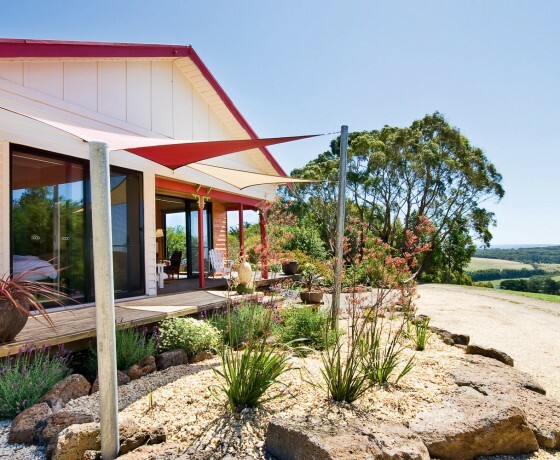 This renovated 1940s country retreat is in Pennyroyal, Otway Ranges National Park Victoria. 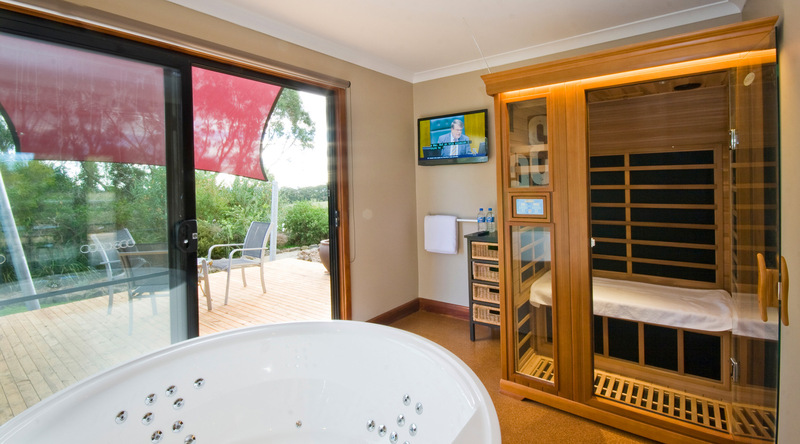 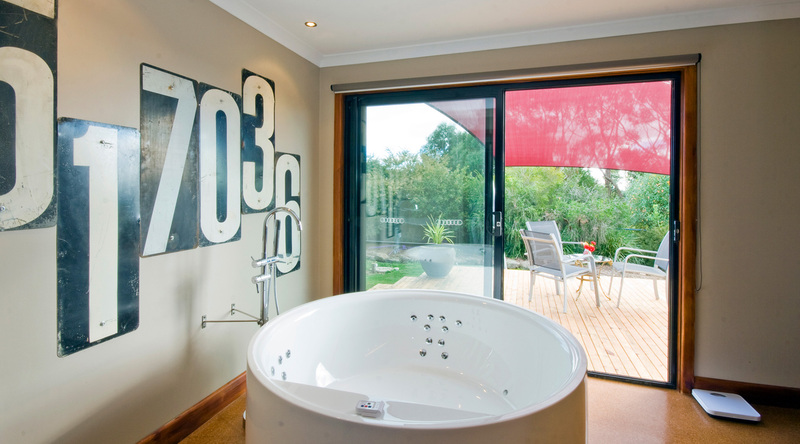 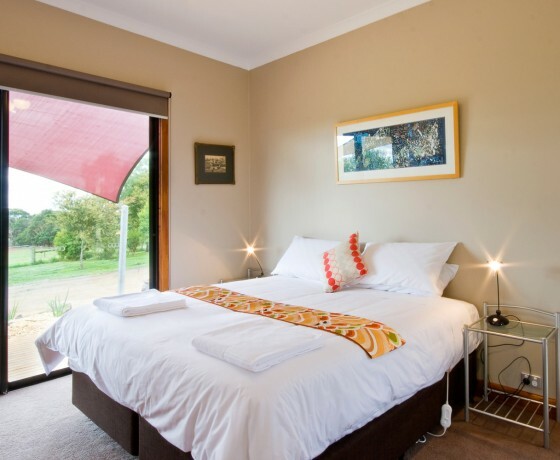 Otway Valley Views is ideal for your holiday or short break accommodation in South West Victoria. 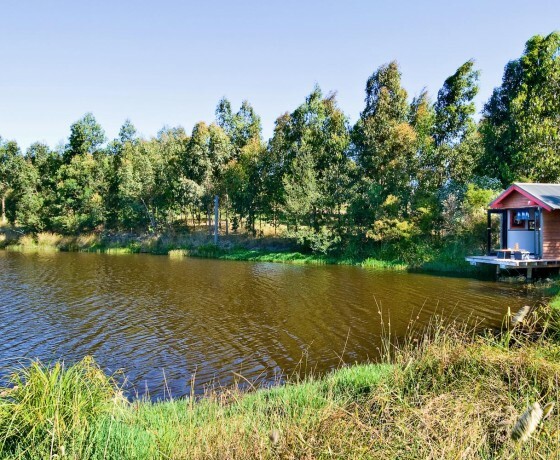 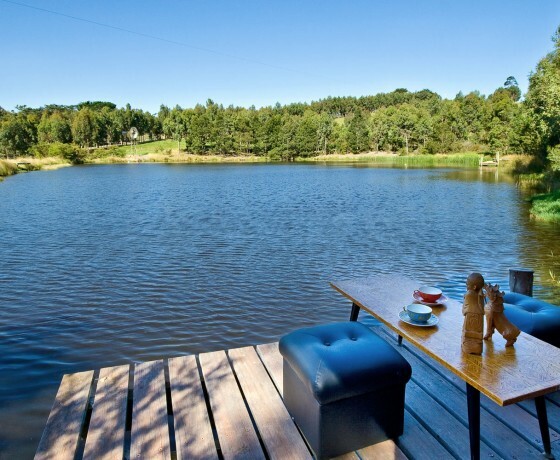 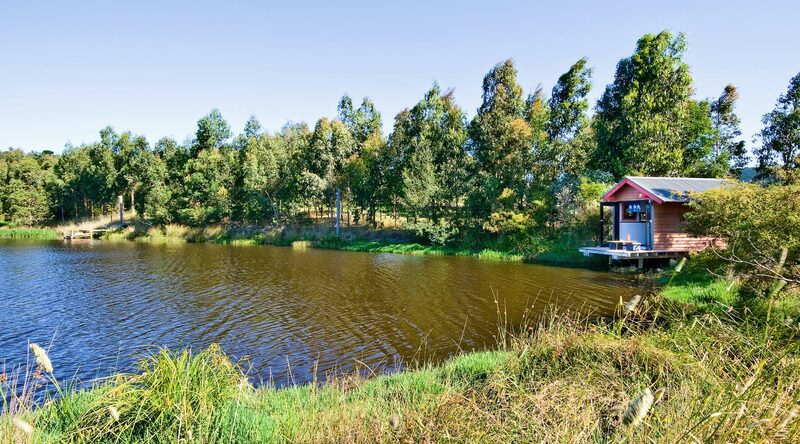 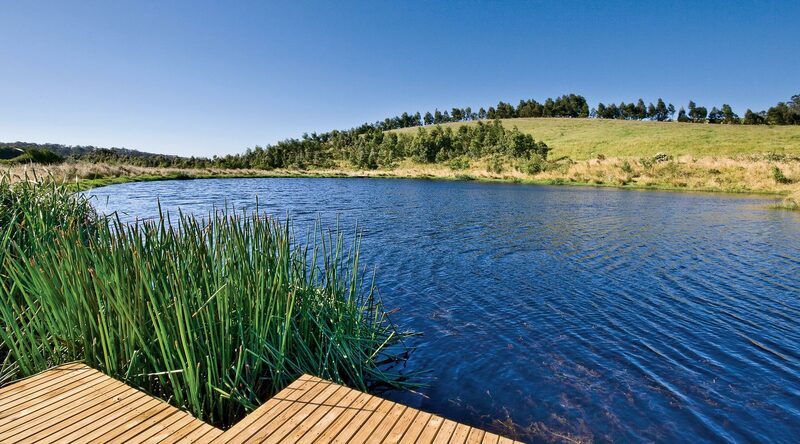 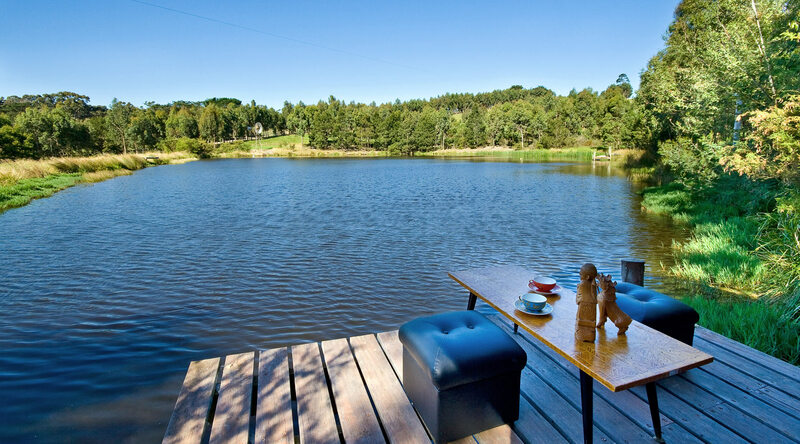 The tranquil holiday farm property has a water spring, lake, dams and a permanent creek running through it. 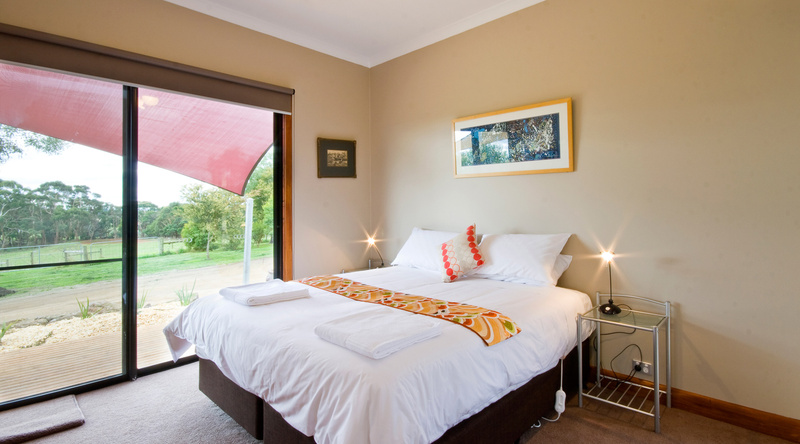 You will discover resident Australian native animals and abundant birdlife during your stay. 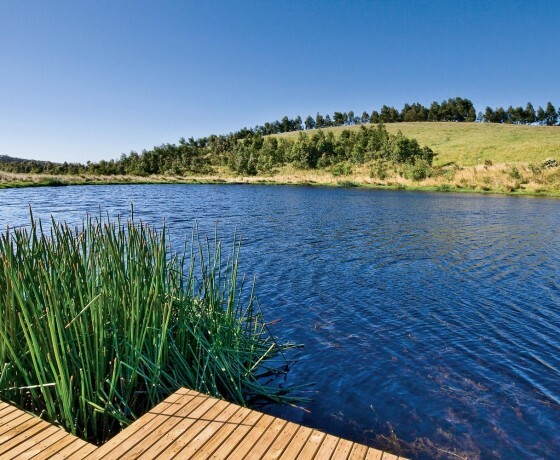 A large dam has been stocked with trout for those guests wishing to throw in a line. 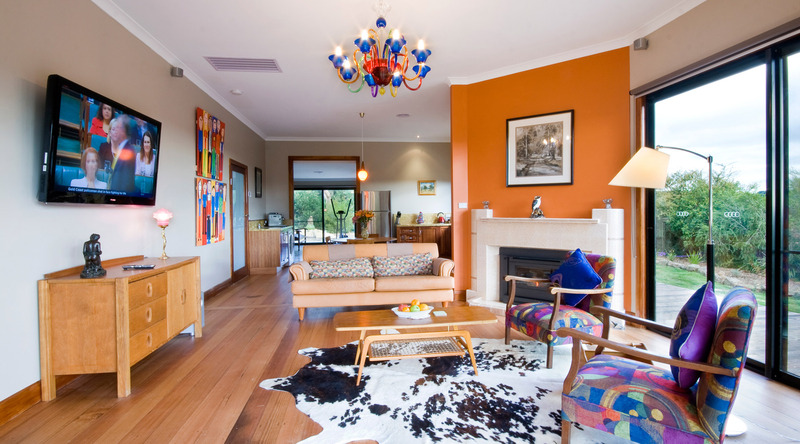 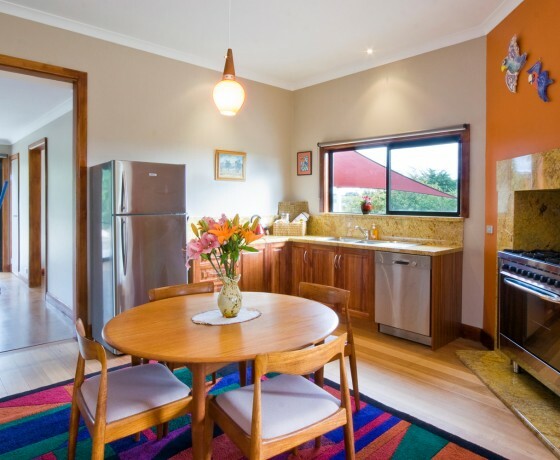 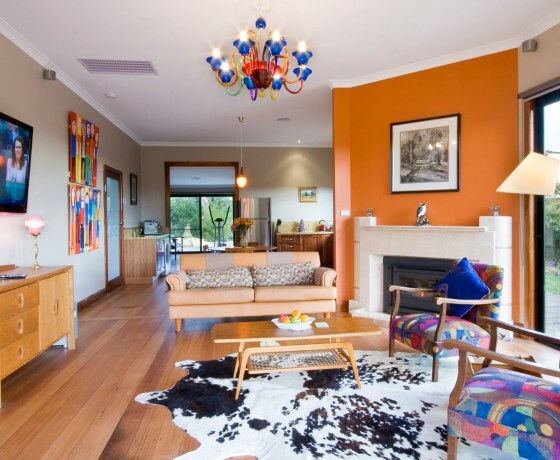 The house is a unique example of a renovated Australian Farm and decorated with original retro furniture and lighting to reflect a bygone era. 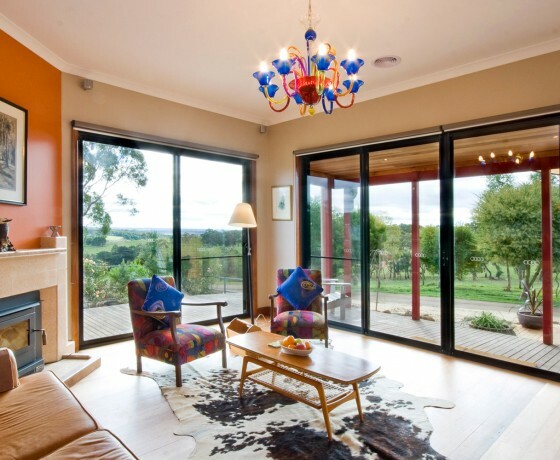 Experience the Featherston / Tessa inspired furnishings. 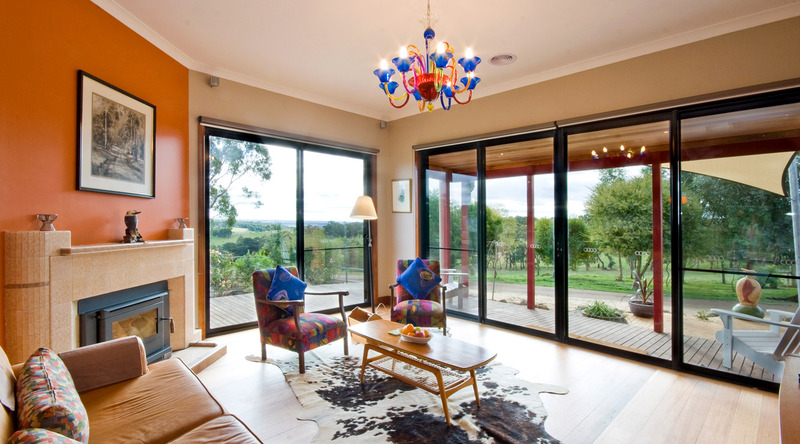 Extensive Double Glazed windows maximises the unsurpassed undulating farm land views adjacent to the Great Otway National Park.